CONVENIA (cefovecin sodium) is an injectable antimicrobial indicated for the treatment of canine skin infections (secondary superficial pyoderma, abscesses, and wounds) caused by susceptible strains of Staphylococcus intermedius and Streptococcus canis (Group G). It also is indicated in feline skin infections (wounds and abscesses) caused by susceptible strains of Pasteurella multocida. Aqueous, non-depot injection for rapid release. 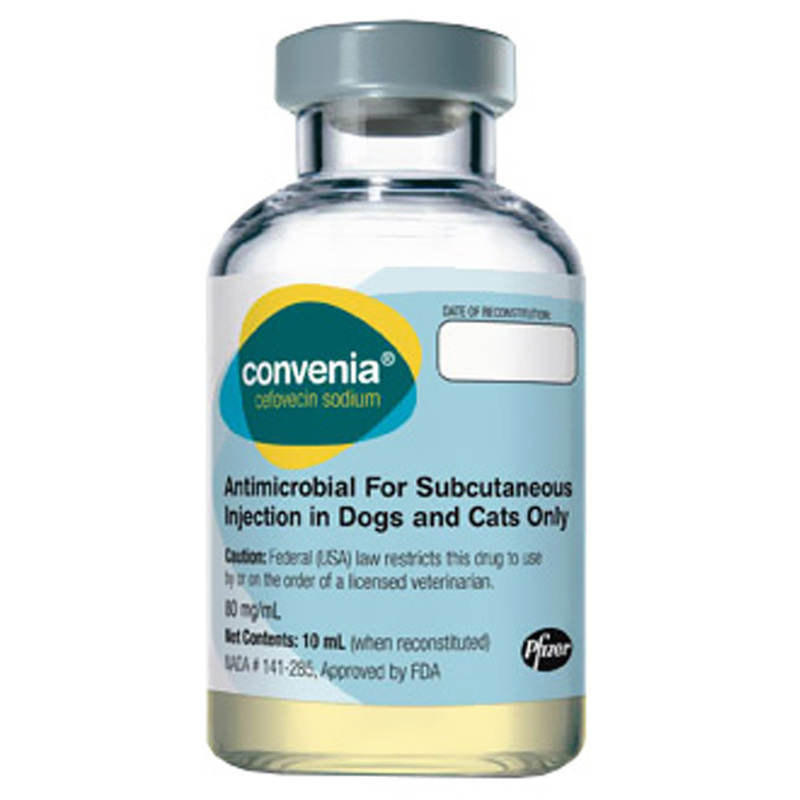 Convenia is a fast, easy solution for treatment of susceptible infection in animals difficult to medicate. For my needs, it works. ProsQuick delivery. Package insert included. Shipped sealed. ConsDoes not come with 10 cc of sterile water for injection.